I wish I had written about this soon, because the chickfactor zine kickstarter ends in SIX FREAKIN’ HOURS. 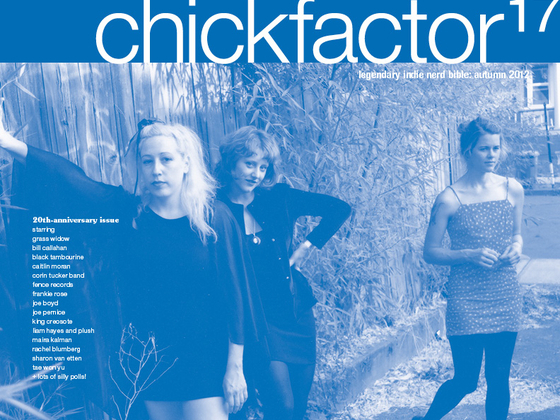 But basically, copacetic zine would not exist if not for chickfactor. The Janice you know today would not exist if not for chickfactor. I was in high school when I read my first issue of this now-legendary zine. I was living in Texas, and was the only person I knew listening to Heavenly, Small Factory, Unrest, and (hence the name of my own zine) Velocity Girl. Reading chickfactor transported the awkward-teenage-me to the glamorous big city. Gail’s gorgeous photography combined with the conversational-style interviews by her staff made me feel like I was right there with them, sipping cocktails and listening to 7″ records. By my senior year of high school, I had started copacetic, totally chomping on the lowercase title thing.